A long, long time ago (2006) I walked this earth blissfully unaware that I was about to become one of the last few holdouts in a warring faction. That war being the never ending toilet debate. I fall securely into the "it ain't broke, don't fix it" side of enjoying a good old fashion round bowl, normal height toilets of yor. I can't tell you why my toilet loyalty is so strong. Perhaps its a lifetime of usage at less than 15 inches from the floor. Maybe its the same part of my brain that is drawn to vintage doorknobs that draws me to the clean simplicity of a round bowl of standard height. Whatever it is, I dont like the new fangled "improvements" that have swept the toilet industry design. Ive never had any issue with the look or function of my current Amercian Standard circa 1979. Why did the toilet designers have to go change the game? And further, why are so many people buying the hype. I refuse to believe that we as a people are becoming so lazy that squatting down an extra two inches is now deemed "uncomfortable". The elongated bowl part had me completely befuddled until our very nice architect explained the use for it ever so delicately. Now it makes a wee bit (fraudian slip?) more sense to me but I still don't see the need. I dont find the new ones more comfortable or nicer looking. So what gives? Simple then, just buy the regular old toilets you say? Well, Mr. Limestone is in the C.H.E.B.S (comfort height, elongagate bowl supporters) camp. If it were up to him, all of the new toilets would have the most elongated bowl imagineable and hover at about waist level. Thus, we've come to an unspoken truce not to discuss this further until absolutely necessary. But with most of our other fixtures selected and/or on their way, that time is coming. Who will survive the battle of the bowls? Where do you fall in this debate? And more importantly, which toilets do you recommend? I like the look of the Kohler Memoirs and Bancroft lines but Im open to suggestions. I know a lot of the people reading are Toto fans but they don't really work with the vintage style we're going for so I'd rather avoid them if possible. Battle of the Bowls - I love it! I think I like the one on the left best, but I'd have to see the sink to be sure..
Hey, thanks for commenting. The bowls are the exact same except for the height and bowl shape. Im just wondering why the "comfort height" and elongated bowls are so popular now. Well, I have to tell you, we're going to begin reno on the master bath early next year and my husband wants the newfangled bowl. He says it's more comfortable, meh. It's okay by me, because in the larger scheme of things, I'm not willing to argue over a toilet, AND this means he'll have to give in to one of my demands. Hopefully, river rock in the shower.... So I say, just give in, with a little drama of course, and then use it as leverage to push hard for something else. Pretty kniving aren't I? I'd agree with you on a pick your battles front if it was something I didnt feel uncomfortable using. (they dont look very different) I just dont like how I feel sitting on a high toilet. I guess my body thinks Im sitting on the dining room chair.  Also, mr. limestone doesnt work in a quid pro quo arrangement. Giving in on this gets me no additional points for the next disagreement. Where does the bidet fit into the equation? i'm with you on sticking with the lower toilet. have you ever used the handicapped stall in a public restroom and had your feet practically dangling? i'd imagine that's what the new bowls were like. Late on this, but the old house lova-h in me loves the standard bowl. I'm hoping to find an antique (yes used ;) casement toilet when the day comes so that there's no choice. For my guest 1/2 bath I 'went' with the comfort height bowl -- mainly because my ILs & my mom have physical limitations that I wanted to accomodate. I also put in a grab bar (that is disguised as a towel rack). Maybe it's because I'm older, but I'm really into making sure my house is disability friendly, especially if I can hide or disguise the changes. It is much easier to put in the blocking for the shower during the reno that it would be later.